The next election in Australia is expected to be held on a date between March and May 2019. If two years of opinion polls are a reliable guide, the Opposition Labour party is expected to win comfortably. It should present an opportunity for a fresh start in Australia’s foreign and defence policies. That is unlikely however to be the case. 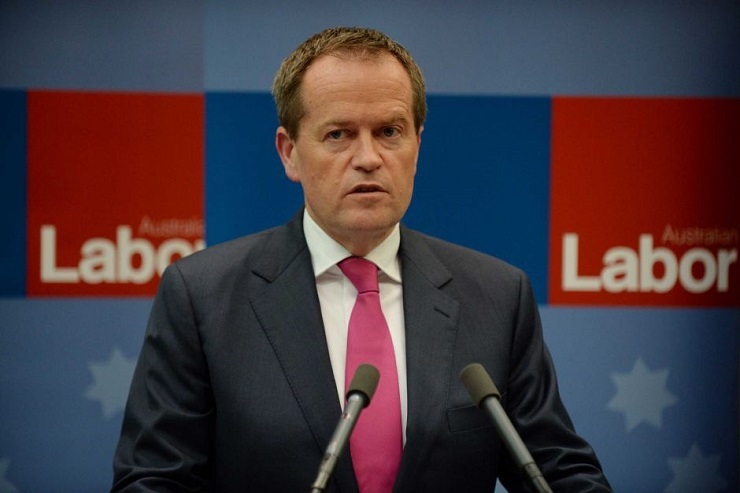 The leader of the Opposition and likely next Prime Minister Bill Shorten (assuming the current interim prime minister actually survives until the election, which is by no means a foregone conclusion) has given no indication in speeches or policy documents that a future Labour government would do other than follow the policies of past decades. (The spectre of the 1972 US-UK coup casts a long shadow). There are a number of reasons why that is neither a viable policy option, nor is it in Australia’s national interest to remain wedded to the policies of the past. The essential basis of Australia’s defence policy and its foreign policy corollary was set out in the 2016 Defence White Paper. That document is remarkable for its capacity for delusional thinking and a false historical narrative, as well as having an inability to anticipate radical changes in the geopolitical and strategic framework, notwithstanding that those changes were clearly discernible well in advance of the White Paper’s publication. Under the heading ‘Strategic Outlook’ for example, it states support for a “rules based global order which supports our interests” (p19). The United States, it says, “will remain the pre-eminent global military power over the next two decades” (p43). Australia’s alliance with the United States “is based on shared values and will continue to be the centerpiece of our defence policy” (p46). The ANZUS Treaty provides the formal basis of Australia’s defence relationship (p123). It (the Treaty) “obliges each country to act to meet the common danger” (p123). Other provisions in the ANZUS Treaty provide for any measures taken by the parties to be referred to the United Nations Security Council. The parties undertake (Article I) to settle any international disputes by peaceful means in accordance with the UN Charter. Since the treaty was signed (1951) and came into force (1952) Australia has been part of a United States led coalition that has attacked North Vietnam (1962-72), Afghanistan (2001 and continuing), Iraq (2003 and continuing), and Syria (2015 and continuing). None of these countries posed a threat to the “territorial integrity, political independence or security” of any of the Treaty’s participants. Neither are any of those countries in or anywhere near the Pacific. The ANZUS Treaty in short, is not what it is claimed to be and should not be used (assuming it even continues) as a fig leaf of respectability for the blatant geopolitical and imperial ambitions of the United States. That all of the above mentioned wars were and are manifestly in breach of international law and of the United Nations Charter is not a subject of discussion in Australia. Neither could it be claimed that these wars fulfilled the requirement to settle disputes by peaceful means. The second element is the claim that Australia’s alliance with the United States is “based on shared values.” Politicians frequently repeat this phrase, in one form or another. What are those alleged shared values? Is it the United States’ history of waging war? It has after all been at war for 222 out of 239 years since Independence in 1776. Just taking the post World War 2 period alone, it has attacked, undermined or overthrown the governments of more than 70 countries, killing between 30 and 40 million people in the process. Is this really a “shared” value that Australia subscribes to? To claim that the United States presence in the Indo-Pacific (and globally) over the past 70 years has underpinned peace and stability is to take the Orwellian misuse of language to fresh heights. The major delusion however, is to claim that the United States will remain the pre-eminent military power over the next two decades. Certainly, as long as the United States continues its long standing policy of attacking essentially defenceless countries it can continue to project military power with devastating consequences. Iraq for example is a graphic illustration of this point. Faced with a power with the ability to fight back, a radically different picture emerges. The two most important opponents of US hegemony in this context are the two countries that the United States National Defence Strategy (December 2017) labeled “dangerous revisionist powers”, i.e. China and Russia. In looking at the military prowess of those two “revisionist” countries, the dangerous delusions of Australian (and United States) foreign and military policy are brought into stark relief. The Chinese for example have developed the Dong Feng (East Wind) series of missiles. There are at least 15 variations of this model. Two should be noted for their special relevance to Australia. The DF-21D is an anti-ship ballistic missile that travels at Mach 10 (12,000kmh) with a range expected to reach 8000km by 2020. It’s effectively forces United States aircraft carriers to move well beyond the range within which their aircraft can be used. General John Hyten, head of the US Strategic Command, acknowledged in Senate testimony (21 March 2018) that the United States was powerless against hypersonic missile attacks by China (or Russia). The DF41 is an intercontinental ballistic missile with a 12,000 km range. It is accurate to within 150 metres, and would reach the United States (and nearly everywhere else in the world) in less than 15 minutes from launch. It has a top speed of Mach 25 and carries up to 10 independently targetable nuclear warheads. The whole of Australia is of course well within its range. Australian political commentators have almost completely ignored China’s advanced military capabilities, preferring instead to focus (usually with little understanding) on issues such as China’s alleged “aggression” in the South China Sea. The nuanced strategic thinking that underpins Chinese defence policy, as set out for example in a recent essay by Professor Zhang Wenmu from China’s Centre of Strategic Studies in Beijing in Taipinyan Xuebao, August 2017. The psychological element Martyanov notes is significant because one consequence of the revelations about Russia and China’s military superiority is that it should help shatter the dangerous delusions (as exemplified in the White Paper) of United States geopolitical and military superiority. The Swiss-American psychiatrist Elisabeth Kubler-Ross identified five stages of grief (denial, anger, bargaining, depression and acceptance). Her model was in the context of someone being advised as having a terminal illness, but it is applicable in the geopolitical context as well. A bipartisan Congressional committee said that the “solution” to the United States’ technological gap with Russia was a 3-5% annual increase in military spending, (which would of course come at the expense of America’s crumbling infrastructure, education and health systems). The other plan was to develop more scenarios involving the first use of nuclear weapons (Dinucci www.voltairenet.org 13 December 2018). This is itself based on a fundamental delusion that the United States could somehow avoid massive and devastating retaliation should it be so stupid as to attack either Russia or China. In Australia’s case however, political and military planners seem to have adopted a new stage of Kubler-Ross’s model: ignoring the reality of a radically changed geopolitical space and, by reiterating old clichés and falsehoods about the United States alliance, hoping that the problem will simply disappear. That is a reality that needs to be grasped by the incoming government. On past performance however that seems a vain hope.